Hayball’s Sydney Studio has launched a series of monthly forums focused on current and future thinking in learning environments, in particular looking at the ever-evolving GL(E)AM sector. 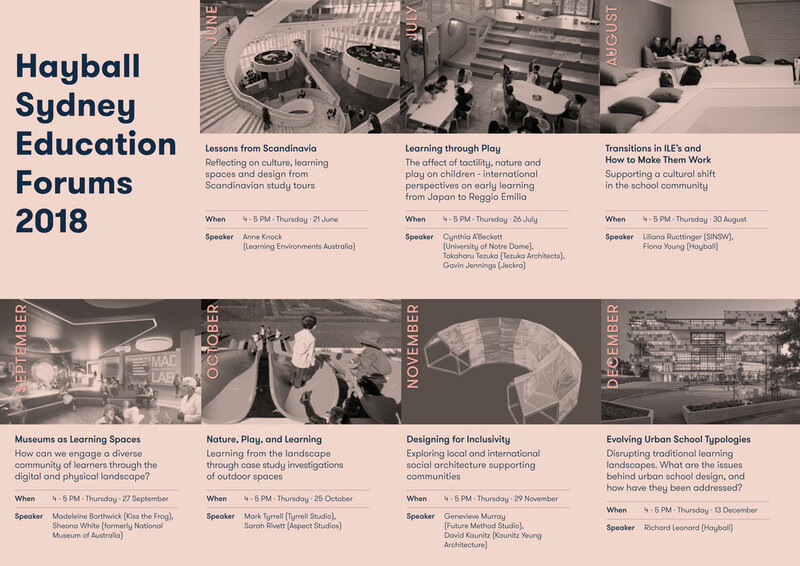 Our team have curated a fantastic line-up of leading local and international guest experts to visit our Surry Hills studio for an informal presentation and discussion covering a range of topics that are vital to the future of learning and education design. The program has been set through until December 2018, with the aspiration of making the forums a permanent fixture on the industry calendar. As leaders in the space of education design and research, we hope that these forums will assist in developing and informing industry and stakeholders into the future, with the main objective to positively and meaningfully evolve design outcomes across all sectors.